Ammunition is available in a wide variety of calibers and you can read article after article about ballistics factors and effects of different types of rounds. In this video, Heather Eckert keeps it VERY simple. New shooters can be spotted standing in the sporting goods store baffled by the endless choices in ammo. You will need to know your gun’s caliber, which is usually etched on the side of the slide or magazine. 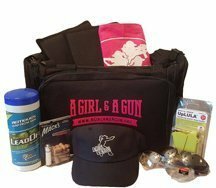 The most popular calibers among AG & AG members are 9 mm, .40, and .45. 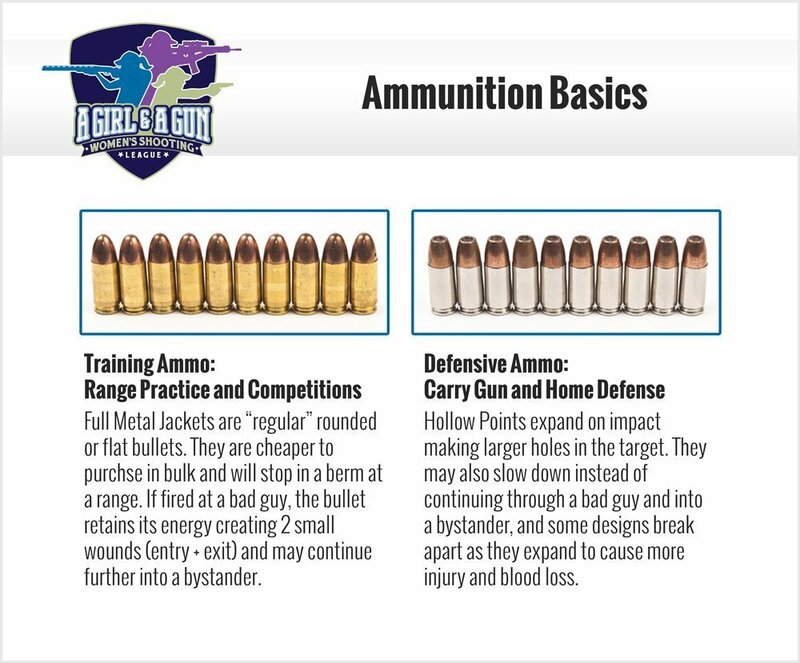 If you are heading to a Girl’s Night Out at the range, you will need to get full metal jacket (FMJ) rounds. 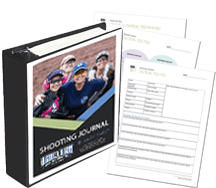 If you are looking for ammo for personal or home defense, you’ll want hollow point rounds.